Drones have been in the new this week ever since Amazon announced their new Amazon Drones, which will deliver your parcels some time in the future, and now the US Navy has launched a drone from under the sea. The US Navy launched a drone, or as they call it, a UAS (unmanned aerial system) from a submerged submarine, the drone was also a new all electric, fuel cell powered drone. 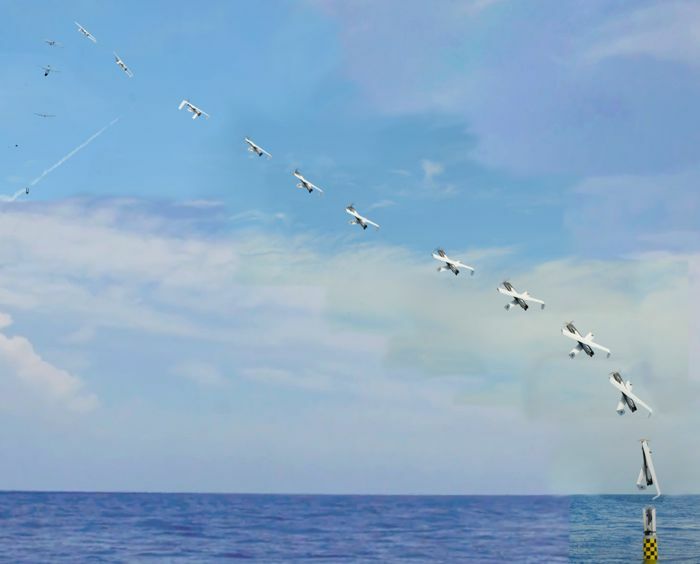 The drone is called the XFC UAS, which is an experimental fuel cell unmanned system, and it was fired from the torpedo tube of the submarine, this was done using a ‘Sea Robin’ launch system. The Sea Robin system was fitted inside an empty Tomahawk launch canister, which are normally used for launching Tomahawk cruise missiles. The canister wast shot to the surface of the sea, it then floated there for a couple of seconds, before the submarine’s Commanding Officer launched the UAS, it then flew a mission for an hour taking photos and recording video, you can find out more details over at the US Navy as the link below.